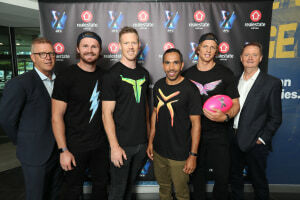 The one night only realestate.com.au AFLX 2019 tournament at Marvel Stadium will take place on Friday 22 February and will see four teams, the Bolts, the Deadly, the Flyers and the Rampage, compete. REA and Seven have declined to comment on the value of the deal. Australian property website, realestate.com.au, has announced further investment into the AFL, taking on a new deal as the official "online property partner" for the 2019 Toyota AFL Premiership Season. In addition to the official online property partner, realestate.com.au will also be the naming rights partner for the AFLX 2019, the shortened variation of Australian rules. REA confirmed to AdNews that this is the first deal of its kind for the AFL. “Property really has become the other Saturday game for many Australians. Together with the AFL we are combing two of our favourite obsessions, but more than that, we are bringing together Australia’s #1 place for property and the country’s #1 sport. “Consumers are increasingly interacting with sport and property through digital platforms. 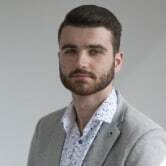 This strategic alliance will allow realestate.com.au to become deeply integrated with the AFL and footy fans," REA group GM brand, marketing and communications Elisa Silbert said.